With July 1st bringing a new senate, there has been a lot of talk about the Mining Tax. The Mining Tax, or Minerals Resource Rent Tax (MRRT), has been a thorn in the side of the Liberal government since its introduction in 2012 and its repeal one of their key election platforms. Labelled the ‘Anti-WA Tax’, its abolition has been championed by the mining lobby and has featured as one of the endless three-word soundbites spouted by the government. In March, both Labour and the Greens voted against new senate legislation to repeal the tax and Tony Abbott is itching to have it passed in the new senate in July. Why does Australia have a Mining Tax at all? The mining boom in Australia generates huge wealth but like any boom, there have been winners and losers. The aim of the MRRT is to redistribute the profits of the mining boom, to ensure all Australians benefit from the vast wealth being extracted from the ground. The revenue generated is spent on low and middle income families through tax cuts, parenting payments and superannuation guarantee increases, as well as tax offsets for small businesses. The revenue is also used to offset any impacts from the Carbon Tax, which was introduced at the same time. The tax reduces the inherent imbalances of our mining system and ensures that all Australians benefit from our mineral wealth. The best case study for a mining tax is oil-rich Norway. Norway has very strict control over their resources industry which ensures that all Norwegians benefit long term from this finite resource. Norway realised that unlike manufacturing, resources don’t move, so large companies are forced to pay the 78% tax on oil and gas revenue they impose. In contrast, Australia’s tax is a mere 13%. Norway has been saving this revenue since 1990 and the massive fund will provide for Norwegians for generations. It sounds both logical and fair, so why do so many oppose the tax? 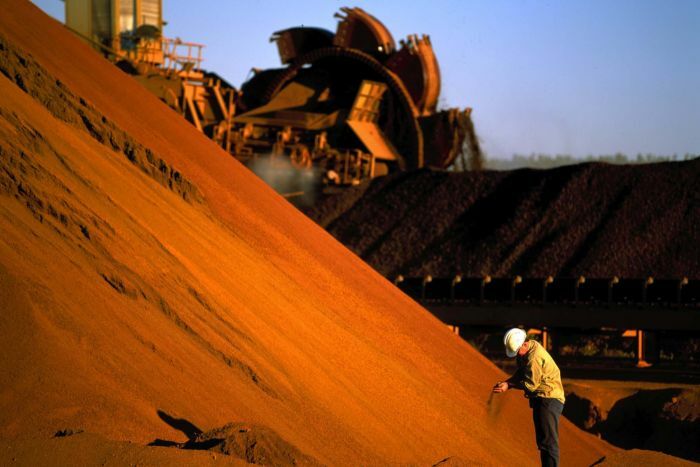 The Liberal Party, supported by the mining lobby, claims that the tax is a disincentive to investment in the resources industry, particularly in Western Australia. They argue that the tax reduces Australia’s competitiveness in the global market, at a time when the industry is already facing the challenges of decreasing demand and falling commodity prices. This is particularly in relation to coal and iron ore, with Australians routinely told that our largest exporters are being unfairly hit by the tax. This talk worries voters, particularly those in the resources industry, who fear reduced profits will lead to job losses. However, given that our largest exporter BHP Billiton posted profits of just under $9 billion for the first half of FY 13/14, an 83% increase, this seems logic seems highly flawed. Liberal Senator Mathias Cormann recently claimed that the budget would be $13.8 billion better off if the Mining Tax was scrapped. This was shown to be complete bogus by ABC Fact Check, just more government propaganda to fool everyday Australians into voting against their own interests. One of the key players in this debate is our favourite supporter of the common man, billionaire Gina Rinehart who believes that poor Australians need to work harder and spend less time drinking in order to be rich, like her. Despite increasing her wealth by $700m last year, Rinehart claims that Australia is “too expensive to do export oriented business”, and has long campaigned to ‘Axe the Tax’. You see, Gina cares about the people and doesn’t want our hard working miners effected by this excessive tax. But if our workers are becoming too costly she has a backup plan, stating that Africans willing to work for $2 a day would be a safer investment option for her. Money is all that matters to Gina, who continues to fight a legal battle with her own children over a trust fund left to them by the grandfather. And yet somehow, everyday hardworking Australians continue to support her single minded pursuit for wealth, blinded to the fact that they are voting against themselves. Australians are being ripped off. It’s time we woke up and realised that the mining lobby will never have the interests of Australians at heart. We need to get over our national obsession with the mining industry which does nothing but drag us back from progress.